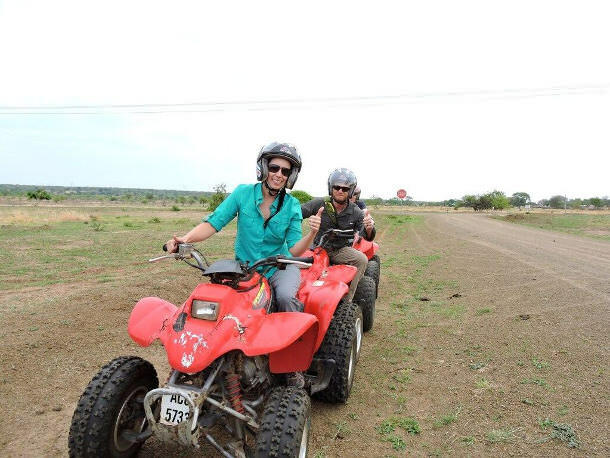 Mike and Nicole are no strangers to new destinations and wild experiences, so when it came down to planning their honeymoon, they knew it would be somewhere far-flung and luxurious with a healthy dose of adventure. Southern Africa it was! They visited Namibia, Botswana, and Zambia during their special holiday, but it was their stay at Tongabezi in Zambia that completely stole their hearts. 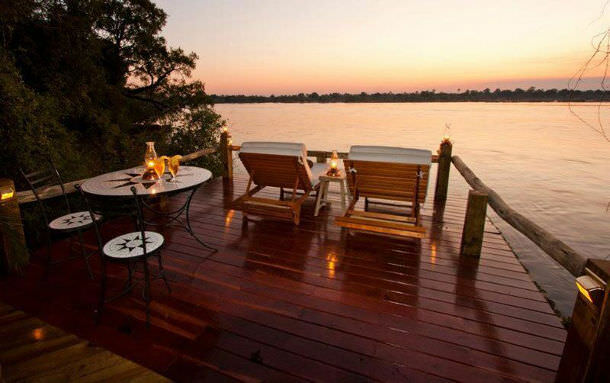 Perched in the secluded Tree House, the majesty of the Zambezi River and her natural surroundings casted their intoxicating spell on the newlyweds. 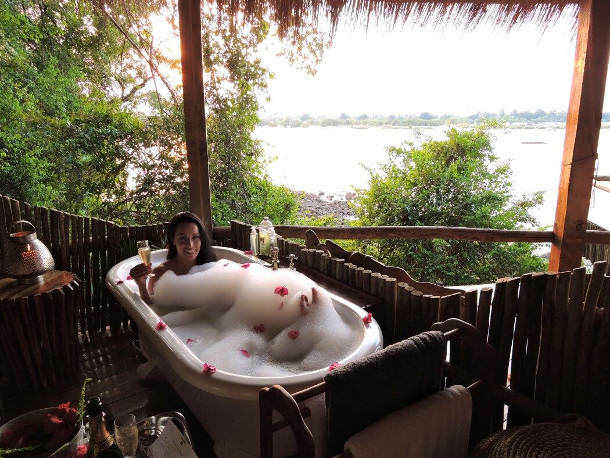 The architecture of the Tree House and the way it blends in with the environment reaps romance, while the resident hippos and crocs let guests know the pulse of Africa is very much alive. “The day we arrived at Tongabezi Lodge, we entered a warm, hospitable country where the people are kind and generous. They care about tourism and they care about their country. 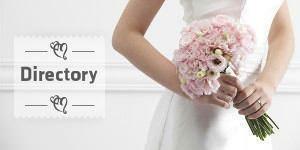 We were enthralled from the start. After getting passport stamps in three countries, we had finally arrived at Tongabezi where we toured our room at the lodge which was called the Tree House. It was really beyond words. Our room was completely open with breathtaking views of the Zambezi River with hippos and crocs all around! There were no walls, no doors, and no windows. It was all open to the elements. The room was built into a stone rock wall and had huge trees coming up through the floors and through the roof. We had a king bed with mosquito netting for protection at night. "We settled into relaxation at Tongabezi. Our guide, Nyambe, had planned a very special dinner for us. We were taken by boat to the middle of the river where we had a three-course meal on the top of floating platform. It was surreal. 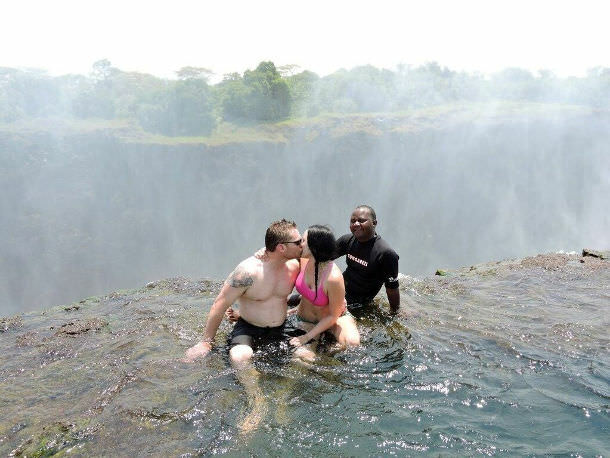 The happy couple also had some bucket list activities to cross off the list and enjoyed a tour of the world renowned Victoria Falls followed by a ‘not for the faint of heart’ swim to the edge of the falls at Devil’s Pool. 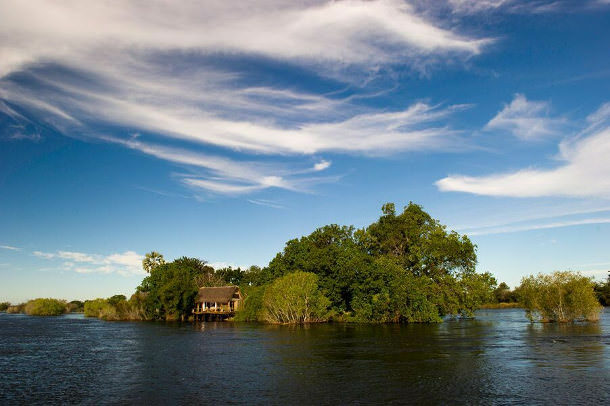 The excitement continued as the newlyweds headed off to stay on Sindabezi Island, a private isle on the Zambezi River where Mother Nature continued to show off. 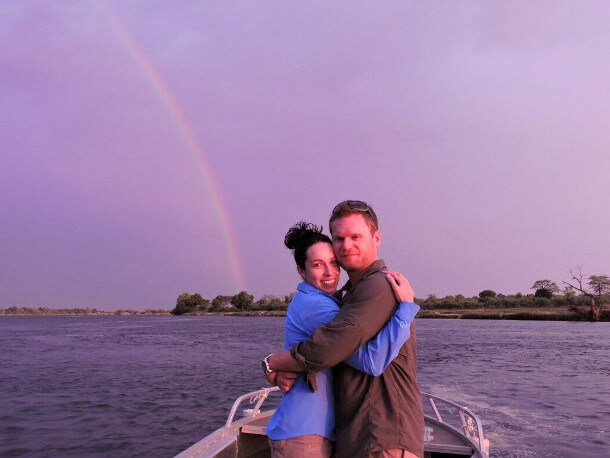 Sunsets, rainbows, game viewing by boat, and an ATV ride were some of their highlights. The lodges were built specifically to service affairs of the heart. 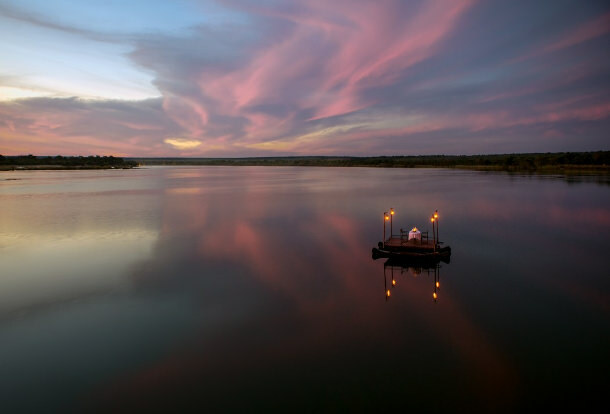 Love is at the core of every detail at the lodge and they never tire of hearing honeymooners’ tales about lapping up the romantic luxury Tongabezi and Sindabezi provides.